What do Mo Farah, Barcelona FC, and Amr Shabana all have in common? Obviously they are multiple-time champions of their disciplines and they are all loved by their fans. But why do we love them and why are they so successful? What is it about their brands of technical and tactical sport that we love? I believe it is the way in which these great competitors have an ability to control the game, picking and choosing their opportunities with such ease and simplicity, seeming to play puppet master to the proceedings in front of them. It all revolves around their ability to change the pace of the game. Mo Farah, when he comes to the final lap of a race, not only has the technical ability and energy to kick, to open breath-taking gaps, he also has the tactical mindset to do this at the time when the field is dreading, the killer blow. Barcelona have always played an exciting breed of football with tantalising passing moves known as ticka-ticka, but the thing that has separated them from the rest over recent years is the ability to change the pace of the game from slow to fast and create that opening for the goal. The great Amr Shabana, who retired last week, shows those exact same qualities. I feel it has a hand in why the sport has changed so much over the last decade. He does not just play the fast brand of exciting Egyptian squash, with finishing shots that we have come to expect from anyone bearing the Egyptian flag, he is also able to build up the play using height, soft touches and subtle changes to open up the gap to put an end to the rally. It is very easy to get drawn into the fast pace of the exciting finishing lap, the goal, the nick at the end of the rally, the glory parts. However, what we often miss is what created it, the tactical awareness and skill set that sets up the chance. So what is so special about this part? Well its what really sets the special ones apart from the pack. In squash, the skill level that is required to control a ball at a slower pace, with less momentum on it, whilst putting speed back on the ball, requires perfect technical ability. 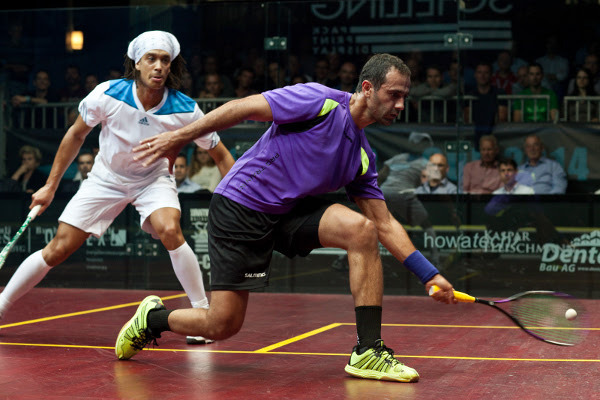 In squash, a technical issue will often be found out when placed on a high volley or on a tight soft ball. Have a swing with too much going on and that timing can be easily off, with greater time for things to go wrong. The ball will come back, but it will often then create the opening. The use of fast pace and hard hitting can also expose weaknesses effectively. It is a lot more do or die at this speed of operation. Either keep up and react to the shot at hand, or the skill level will simple not hold up and break down, through errors or the balls being missed. Using two differing paces to find holes and weakness to exploit is the easy bit -changing the pace is the really hard bit. Our bodies are hard-wired to conserve momentum. In a triathlon, arguably the hardest bit isn’t the swimming, cycling or running, it is the change over between the disciplines. This is true across all sports. We find one momentum easy to deal with but when this is changed there is a period where we have to adapt and retune. 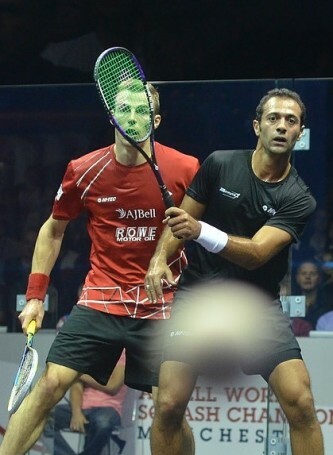 Shabana is a great example of how to do this in squash. From soft build up play with subtleness of touches and uses of changing heights, it culminates straight into of periods of fast hard hitting attacking play, looking for the finish. To do this is by no means a simple feat, and that is why so few can do it. It takes technical perfection, and a greater tactical awareness to hit when it hurts and to change the pace at the right time to succeed. Executed perfectly it does not only make sport look simple, it makes the opposition look ordinary and the victor to look like a God. What these great champions have in common isn’t just that we love them, or that they win, it is the style and variety that they play within that allows the game to look so simple and in control. This brand of sport is what we enjoy, and what makes them so fascinating to watch. It crosses boundaries, it is present in many sports, it’s a common trait. So there is your challenge next time you play! Learn from what Amr Shabana has brought to the game in abundance. Try not to just play at one pace or go for the winners, try to change the pace, pick the gaps and really create that opportunity to make it look easy!